The guilt trips that are laid on the individuals that no longer are able to share the intimacy of a marital relationship are altruism’s answer to how to sacrifice in relationships. Certainly couples who have children have taken on a responsibility for their upbringing but this does not mean an individual must live in an unbearable situation. Marriages are usually started with the best of intentions but often there are unrealistic expectations that cannot be actualized. The wife who wants the husband to be home and yet maximize his earning capacity has contradictory ideals just as the husband who expects a fully employed wife to be constantly up on her domestic tasks. Maintaining such expectations and expressing disappointment at every deviation from these expectations eventually brings a realization to even the most dedicated that the person is demanding the impossible . Living with impossible demands and accepting them is a sure way for one to acquire a sense of inadequacy and a loss of control over one’s life and happiness. This can only be remedied by divorce. The role of counseling is an attempt to get each person to compromise and try to accommodate the other partner. A person who has badgered and demanded will not make some magical reformation. A person who thinks putting up with a miserable situation is noble and moral cannot meet unrealistic expectations and simply continues to suffer knowing the person being unreasonable cannot be reached and resigns themselves to try to hang on for the sake of the marriage, the children or something other than their own happiness. The relief from unrealistic demands can only occur without divorce by the death of either “partner”. This in terms of a mortal is equivalent to an eternal hell. And since the pursuit or happiness is the right of every man or woman what can possibly negate that right? Children are not entitled to parents that want to stay married to each other. People change their values, their behaviors and their preferences. No one gets married knowing the full personality of their chosen mate. There are often hidden agendas and unrevealed expectations. There is the possibility of ever growing demands and expectations that overreach the ability of a partner to actualize. 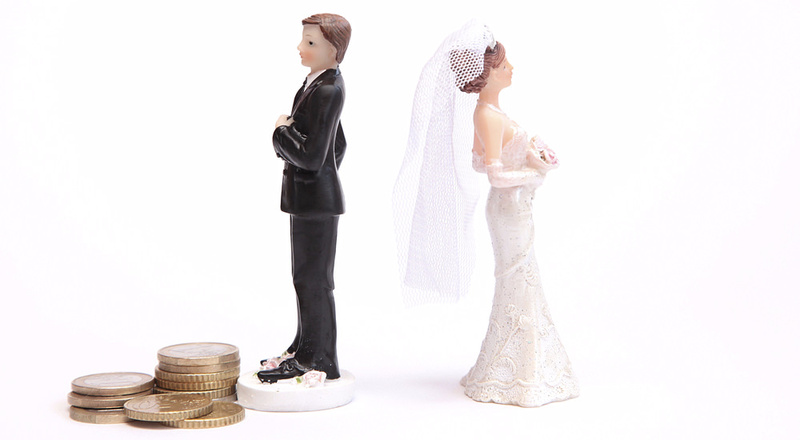 In such cases when a decision to divorce seems to be the only option further suffering will not change the situation. Only in a world where suffering is considered good could such torture be condoned, promoted and sanctioned. An individual who chooses to accept such dictates will continue to suffer but being of free will that is not the necessary choice. Divorce used to be almost taboo and still is in certain societies. This attitude is an attempt to force people either by law or intimidation to conform to dictates that require sacrifice and naturally comes from that morality the preaches that “virtue”…altruism. The loss of the dream of a soul mate is a devastating price if one realizes that is a possibility and the current person is not in that category and in reality is an impediment to ever realizing such a union. What this means to a mortal is that the ultimate romantic relationship is never to be his or hers. Accepting the sour marriage is accepting the loss of the possible. Accepting the bad marriage is to abandon the dream of a good one. It is subverting your mind to the implanted guilt that will only trap you in a hopeless restraint created by your own lack of courage to stand up for your own happiness. Ignore the question, “ What’s in it for me?” and discover that only you can ask and answer that question. A finite life is the legacy of every human being no matter how many charlatans claim a vision of eternity. This life is too important to be wasted on misery. You cannot work toward happiness without recognizing what is and is not possible. Changing another’s mind and personality regarding the worth and role of your life doesn’t evolve from a steady deterioration of their view of you. This trend must be identified and evaluated and in all probability rejected for anything positive to occur. If allowed to continue it only feeds itself regarding your ability to stand up for yourself and this in the case of a person who salvages a “marriage” for the sake of the children can only teach them that they are being used as a tool to debase your self worth. The mature child who asks, “ Why didn’t you stand up for yourself?” has pronounced a verdict that no parent wants to accept. There can be no answer to that question that satisfies any child. Modeling cowardice only creates disappointment and disgust. When you hear the politicians and the preachers speak of the sanctity of marriage remember what it is they are seeking. They are asking all who are suffering in an intolerable relationship to retain this state of misery. They are asking of you to sacrifice your happiness for the sake of their vision of what happiness consists of. They are saying they know better than you what will make you happy. They are using intimidation and sometimes the law to demand of you to follow their code of sacrifice. You are not obligated to accept their version of what will make you happy. You have a right to the pursuit of happiness which includes correcting mistakes in associations and contracts that go sour. If a person cannot correct his or her mistakes, then how does improvement occur? The demand for omniscience in choosing a matrimonial partner is an unrealistic expectation that no one has the right to demand. For the sake of individual happiness which all humans should rationally seek the decision to divorce must never be decreed by the tyrants demanding the destruction of your spirit. The morality of divorce must be recognized as a choice never to be fettered by intimidation or law. This will not release those willing to suffer but it does give hope to those with the courage to correct their mistakes.